Many of us would love to eat healthier and watch our diet in 2017, and this green papaya salad is perfect for that. Instead of using a flour wrap, I used various vegetable leaves/cups to hold the salad to enhance the freshness and crunchiness of the overall dish. 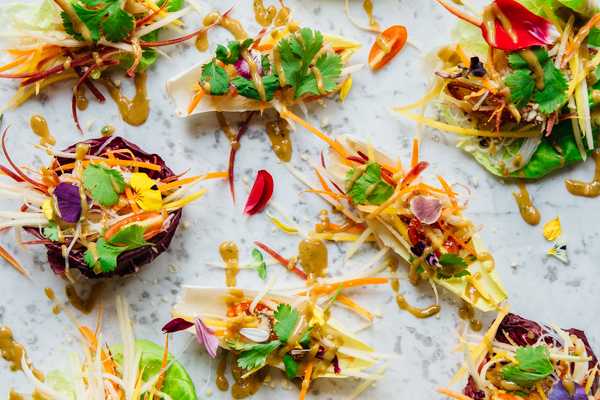 The salad is inspired by a traditional Thai dish “Som Tam” (spicy green papaya salad), which I learned to make during my trip to Thailand years ago. For those who do not know, green papaya is an unripe version of the orange papaya that we normally see in the fruit market. It has a dark green skin and the flesh is white and firm. Once the papaya has started to ripen, both the taste and texture change completely. While many of us are aware of the fact that the ripe orange papayas are super healthy, the unripe green papayas are just as good, if not better. They are rich in vitamins A, C, E, and folate, which helps to boost your immune system and prevent infection and colds. It also contains the digestive enzyme, papain, which is used like bromelain, similar to the enzyme found in pineapple, to treat sports injuries, other causes of trauma, and allergies. Rich in potassium, magnesium, and phytonutrient, green papaya aids digestion, converts proteins into essential amino acids, cleanses the colon, and fights nausea and constipation. It also protects the urinary tract from infections. Eating green papaya as part of the raw salad as shown here helps to retain all of these healthy benefits. The traditional Som Tam salad uses a dressing that contains fish sauce and dried shrimp, but today, we’re switching it to a peanut-based vegan-style dressing. 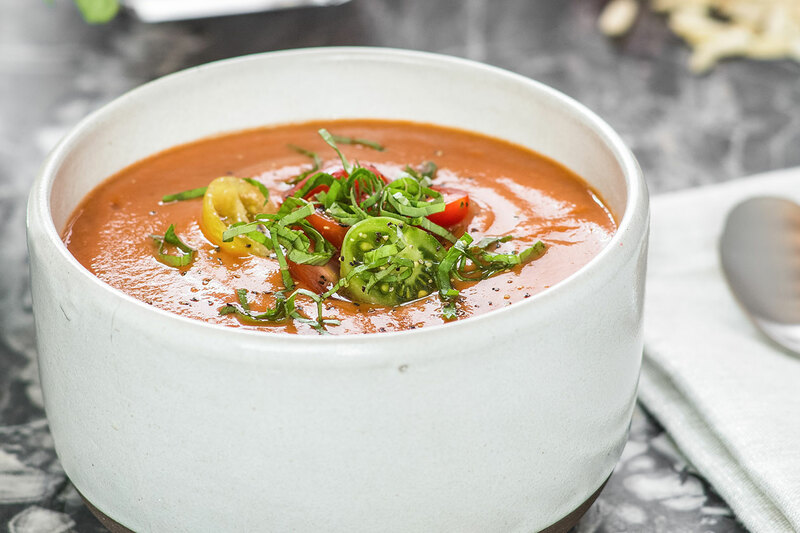 It has the same kind of sweet, salty, and sour flavors like the traditional Thai dressing, but is slightly creamier and equally delicious. The salad dressing can be made ahead of time and stored in the refrigerator up to one week. I omitted chili in the recipe, as I wanted this recipe to be family-friendly. However, if you want to spice things up, add 1 red chili to the salad. For those who have a peanut allergy, feel free to make the dressing with almond butter and replace the roasted peanut with roasted cashews. To make the salad dressing, simply put all the ingredients except the cilantro into the KitchenAid® Pro Line® Series Blender. This is the most powerful blender on the market, so it does not take long to blend the dressing together, about 20 seconds on speed 5. If the dressing is too thick, add 1 tablespoon of water. Then add the cilantro leaves into the blender and blend for another 10 seconds. After the dressing is done, pour it into a small serving bowl and set aside. To make the salad, first sauté the shiitake mushrooms in the 10″ skillet from the KitchenAid® Non-Stick 10-Piece Set until they are brown and soft. Then set them aside to cool. Add roasted peanuts into the KitchenAid® Mini Food Processor and crush them into crumbles. Set aside. To prepare the salad, first cut the green papaya in half and scoop out the seeds. Peel the dark green skin, and then grate the white papaya flesh. Rinse the flesh well afterwards to remove any bitter flavor, then grate the green papaya and carrots, quarter the tomatoes, and soak the rice noodles. Place the salad into various vegetable wraps of your choosing. Drizzle with Asian peanut dressing and serve immediately. Overall, this salad is very easy to prepare and highly versatile. In addition to carrots, you can also add cooked green beans, tomatoes, or other preferred vegetables into the salad. 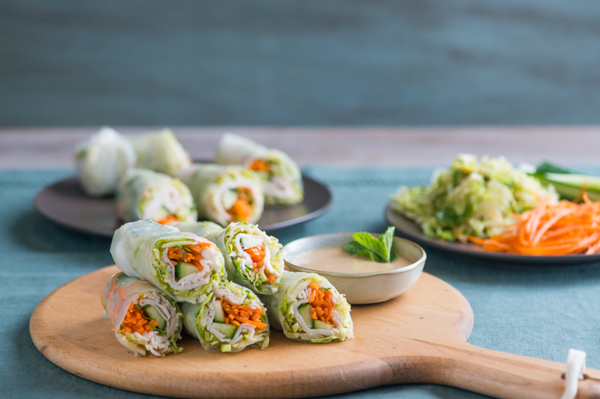 Share your take on these Green Papaya Salad Wraps on Instagram using #MadeWithKitchenAid for a chance to be featured. 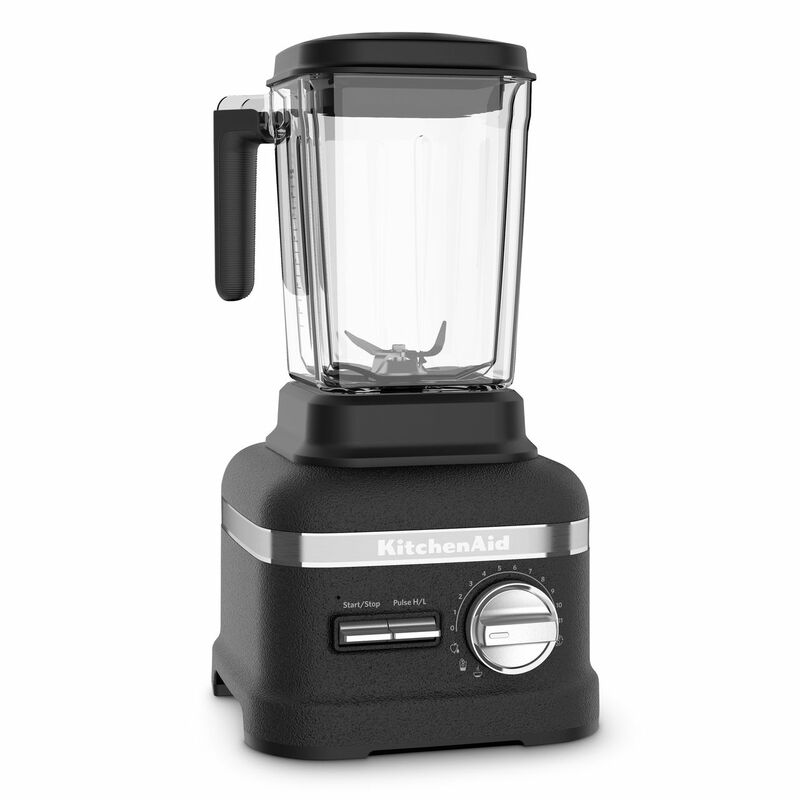 Add all ingredients except the cilantro leaves into the KitchenAid® Pro Line® Series Blender. 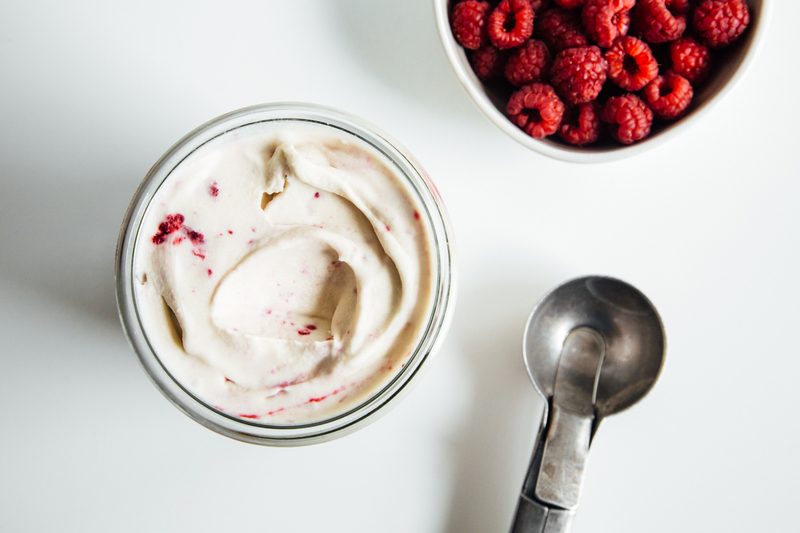 Blend and pause on high speed 3 times for 10 seconds each until the mixture is creamy and smooth. Add the cilantro and blend for another 10 seconds. Pour the dressing into a sealable glass jar and put into the refrigerator. The dressing can be stored for up to a week in the refrigerator. Soak the dried thin glass rice noodles in warm water for about 15 minutes, then drain and set aside. Peel and grate the green papaya and carrots. Slice the Persian cucumber and shiitake mushrooms into thin slices. Grate the garlic into a small mixing bowl and set aside. 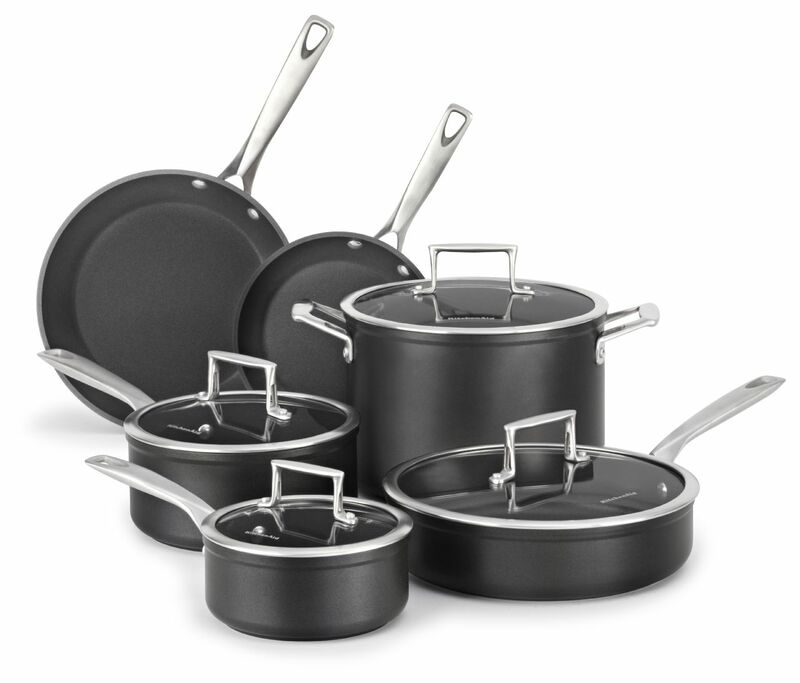 Heat the 10″ skillet from the KitchenAid® Non-Stick 10-Piece Set over medium-high heat until hot and add 2 tablespoons of coconut oil. Add 2 teaspoons of grated garlic into the pan and sauté until fragrant, then put in the shiitake mushroom slices. Keep frying for about 5-6 minutes until the mushrooms are brown and soft. Take the mushrooms out and set aside to cool. 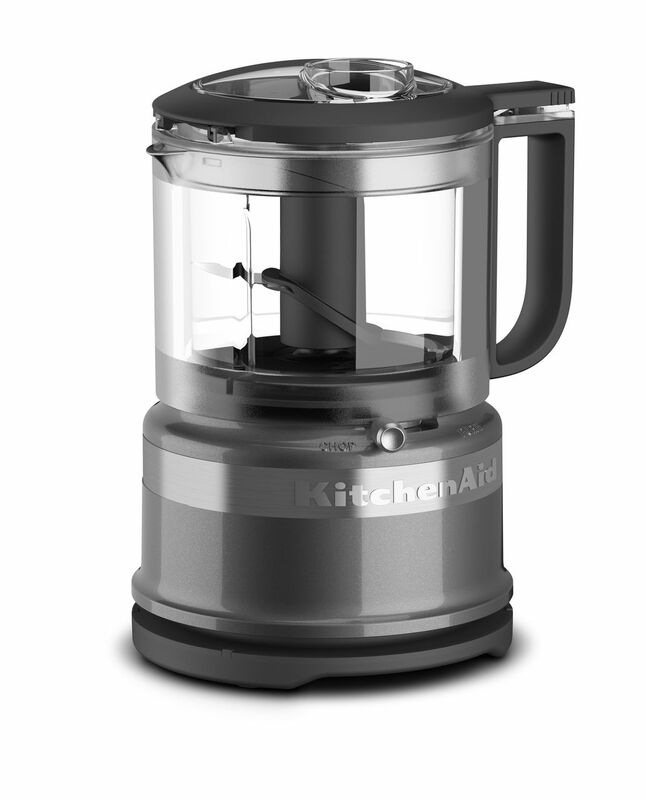 Add the roasted peanuts into the KitchenAid® Mini Food Processor and crush them into crumbles. Set aside. Add grated papaya, carrot, glass noodles (can be chopped once or twice if they’re too long), cucumber and sautéed mushroom slices into a mixing bowl and toss together until they’re well mixed. Divide the salad among the serving vegetable wraps. Sprinkle crushed peanuts and drizzle the dressings on top of the vegetable wraps. Garnish the wraps with more cilantro leaves and edible flowers.